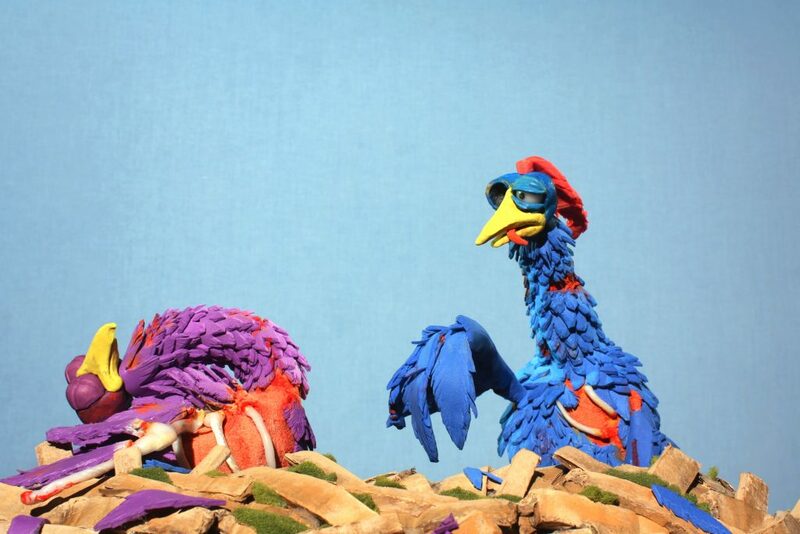 These puppets I built for a 90 second student film during 2nd year at the Bristol School of Animation. The film was a collaboration in a team of four people. I built the puppets based on the designs by another student, and the plasticine beaks were also sculpted by another student. There were two versions of the puppets: the main puppets and the injured/dead ones. 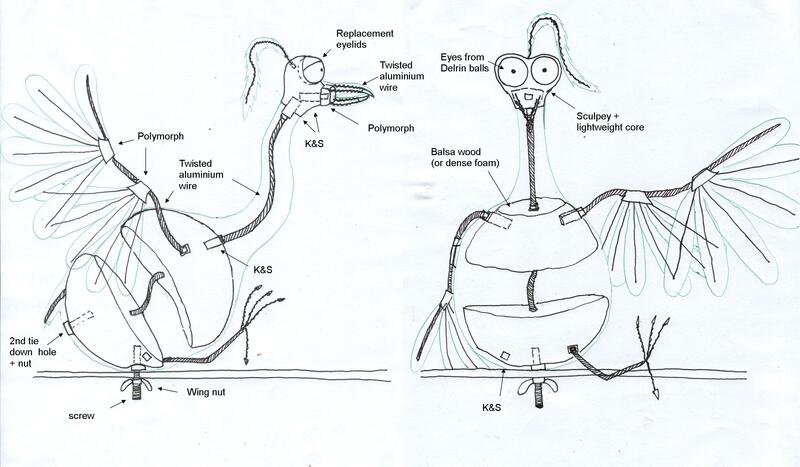 The purple ‘dead’ one has no functioning armature as it did not need to be animated. Heads were re-used on the different versions. The puppets have wire armatures, using a combination of hard and soft foams underneath, polymorph for bones and craft foam sheets to make all the feathers. The heads are baked in supersculpey and eye lids made from sculpey and cut in various shapes for expressions and blinks. 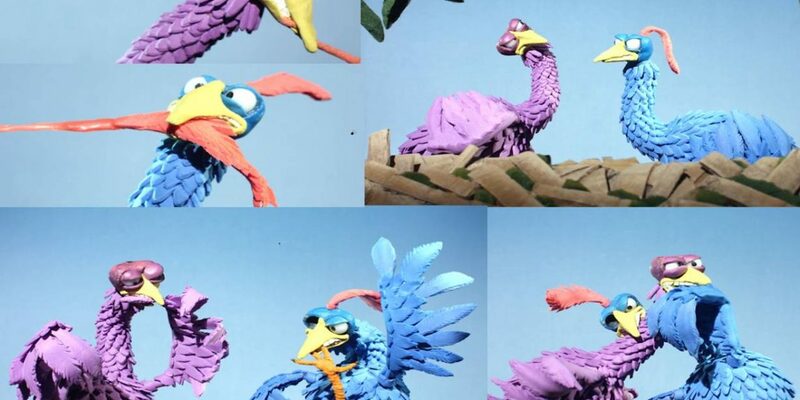 The beaks are sculpted out of plasticine and these were made by a group member. They were used as a combination of replacement and resculpting the clay. Each puppet is fixed onto a permanent wire rig in the nest, as during the film the birds move around but do not leave the nest. Only one bird has legs/feet as they would be visible in one shot. 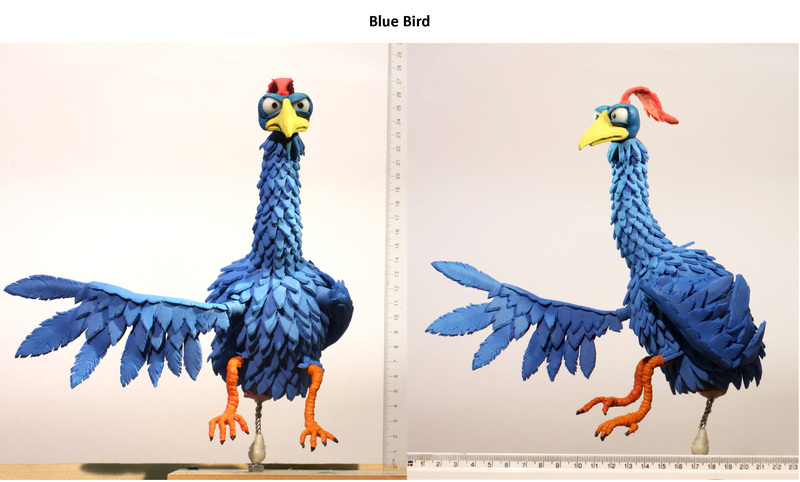 Technical/scale drawing for the blue bird puppet. 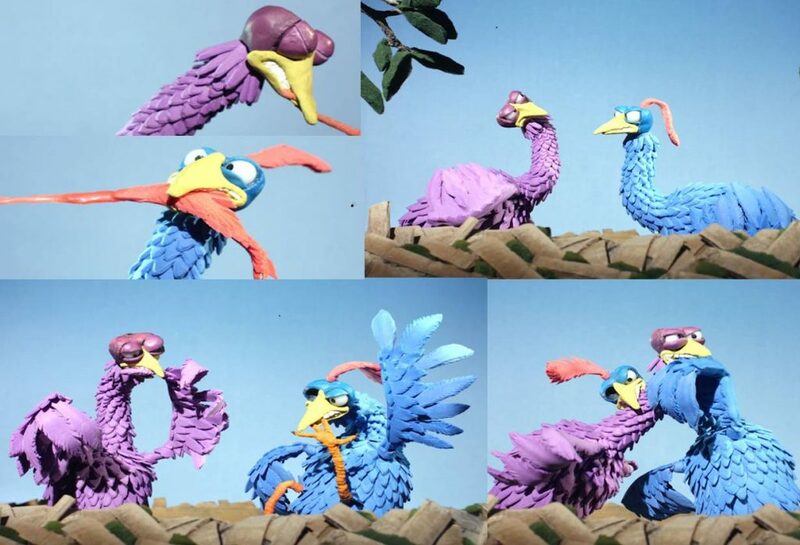 The purple bird did not have legs or feet as they would not be seen in shot. 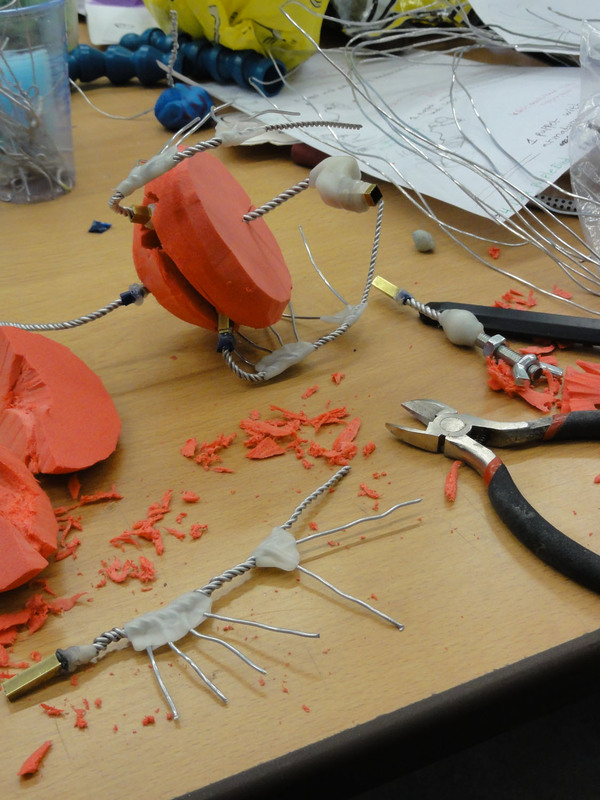 Armature in progress. Aluminium wire, K&S attachments, polymorph and yoga block foam. Puppet in progress, main body ready to apply foam sheet feathers. Expression sheet. 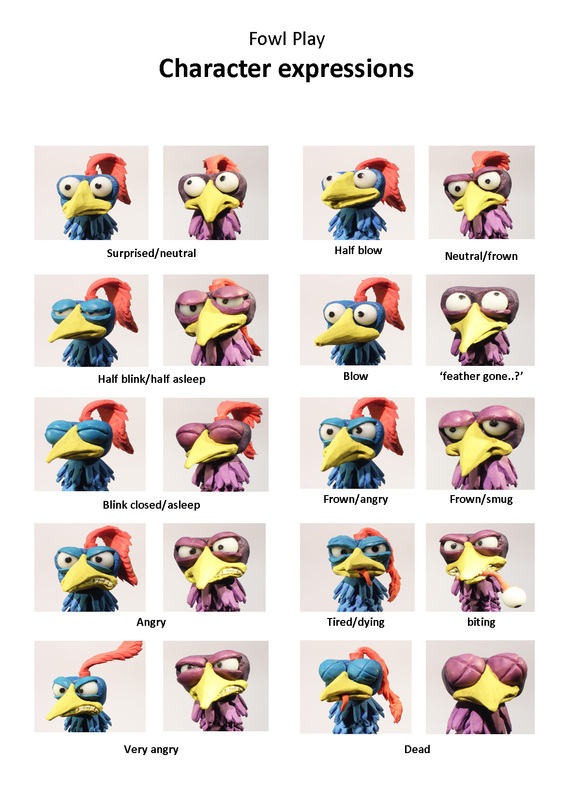 A selection of the expressions that could be used using the plasticine replacement beaks (sculpted by a group member) and various eye lid shapes. Finished blue bird on rig. 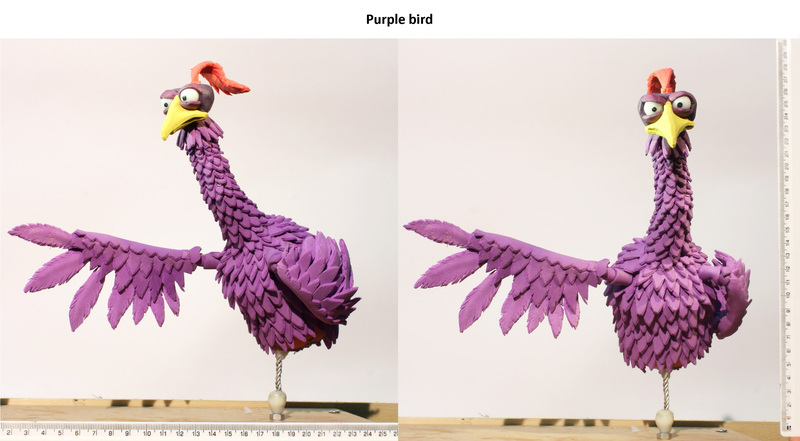 Finished purple bird on rig. 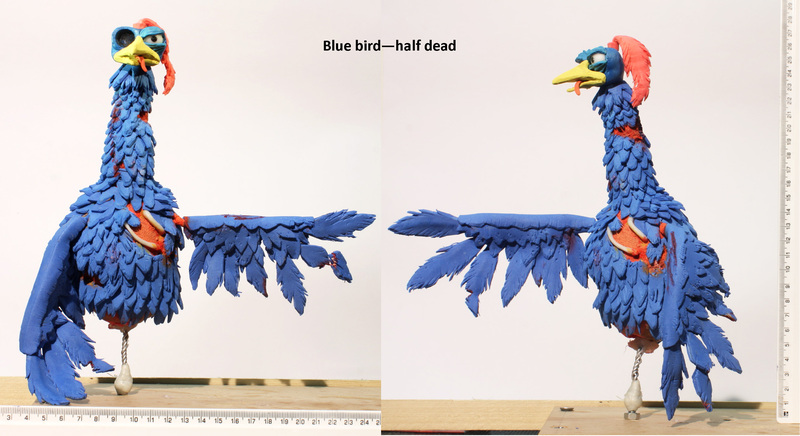 Finished 'half dead' blue bird on rig.